Since ABC is a non-profit organization, we rely heavily on volunteer workers and donations from community churches, civic organizations, United Way, and individuals to cover operating costs. In addition, various fund-raising activities throughout the year enable us to purchase needed equipment and supplies, while keeping tuition within reason. 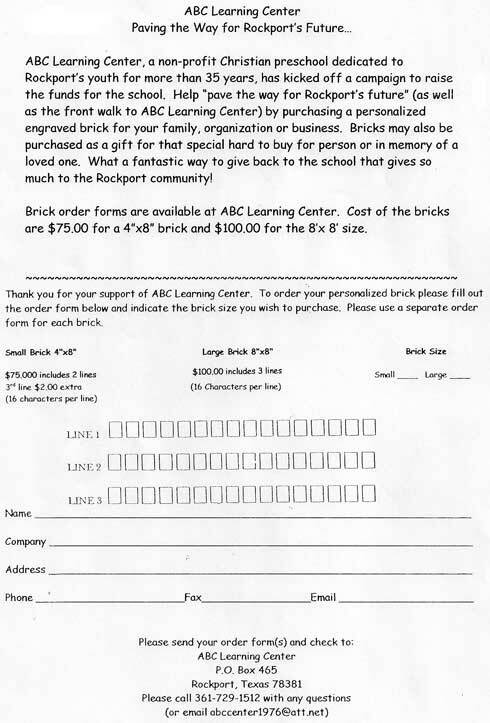 Click Here for Printable Order Form for Your Personalized Brick! Click Here to Learn Three Easy Ways to Make a Difference! Click Here for the 'Hop, Jump, Fly' Boxtop Sheet! 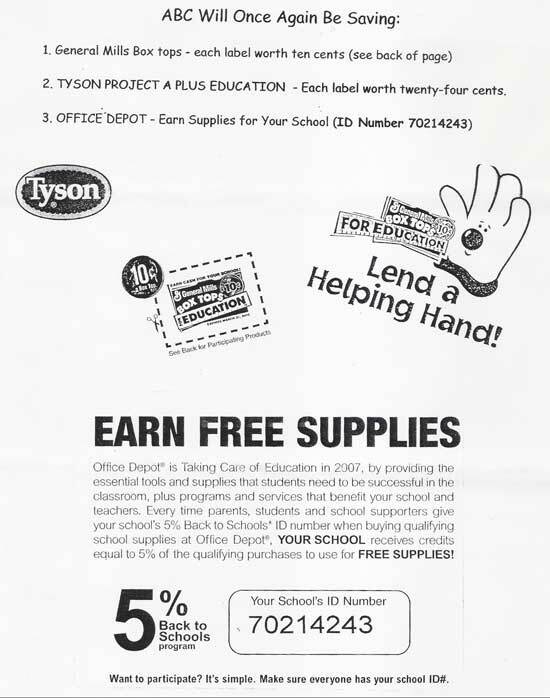 ABC Learning Center is a proud recipient of the Box Tops for Education Program. Please click on the link above to learn all about it! 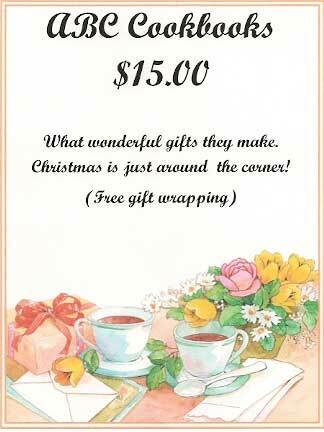 This is one of the many ways family and friends can help us raise funds for your children's benefit. 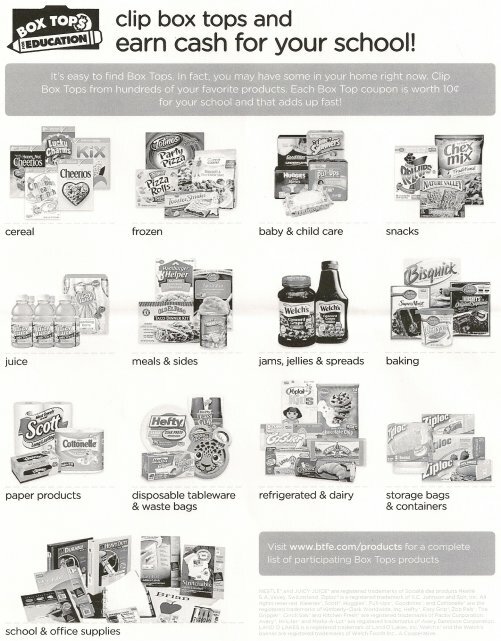 Below is a list of all products participating in the Box Tops for Education program. Please note that Box Top coupons may not appear on all sizes and/or flavors of participating products.